We aim to achieve our mission through community projects at the neighborhood level. We believe that change happens when citizens have ownership over their urban spaces and feel empowered to take action. Trees, whether they be on private or public property, serve to connect residents to their community, their neighbors, and the larger global environment. We raise awareness about the importance of trees and the role that every resident can take in planting and caring for trees. To learn more about our mission, root values, plans and goals, click here for our downloadable pamphlet. 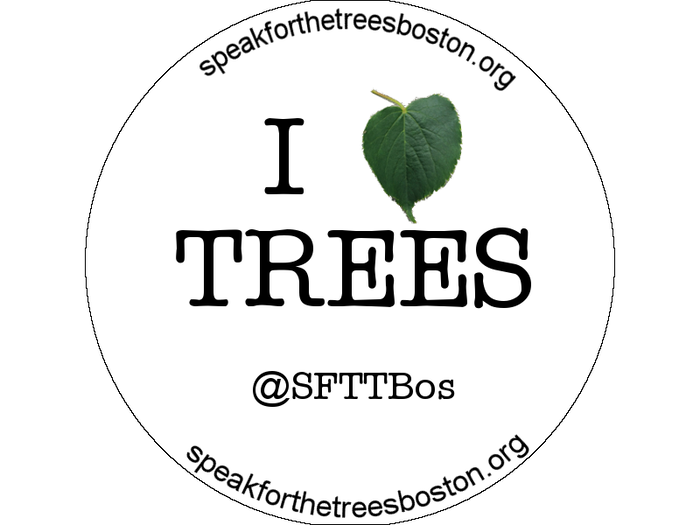 Speak for the Trees (SFTT) is committed to supporting the vitality of the urban tree canopy in the greater Boston area, especially in areas with low canopy coverage. Our work focuses on community engagement, educational outreach, and public advocacy. We partner with community members, parallel organizations, and municipalities to build a healthier tree canopy for all. 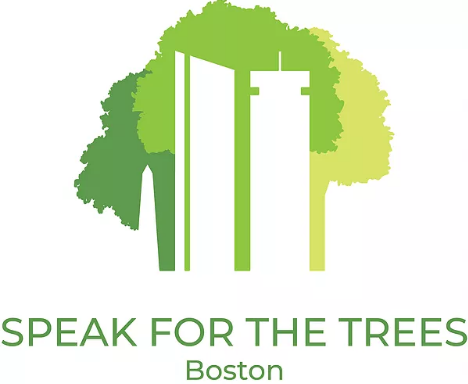 In addition, Speak for the Trees is committed to partnering with the numerous existing local and national environmental organizations to build a healthy urban forest. Through robust collaborations and shared best practices, Speak for the Trees creates customized programs according to the unique needs, geography, and structure of each neighborhood. We envision a city with a healthy tree canopy that takes into account issues of equity such as diversity, race, socioeconomic status, and geography. Finally, SFTT advocates for updated municipal policies governing tree planting, neighborhood prioritization, and length of care to ensure trees are efficiently planted and strategically placed in communities that need them most. We’re looking for people interested in joining our network and supporting our work. To join our network, click here. To make a donation and support our work, click here to donate online. Checks are also accepted; please make the check out to MARION INSTITUTE and write Speak for the Trees in the memo section. Advancing benevolent, educational, sustainable and scientific efforts in the Mastatal community and La Cangreja National Park.